Walkers are welcome, but please note that the course closes at 3.5 hours (10:30 am). We cannot guarantee traffic control or a race medal after 3.5 hours. You will be allowed to finish the course at your own risk. Participants must be 12 years old prior to race day. Participants may be individuals or one of three members of a relay team. All runners will receive a finisher's medal and race swag bag. Runners registered before October 1st will be guaranteed a long-sleeved race shirt. Registration fees are always non-refundable and are non-transferable after 10/1. There are parking spaces within walking distance to the start/finish line. A TTU campus map shows event locations including parking. Get your friends together and run a 3 person relay! 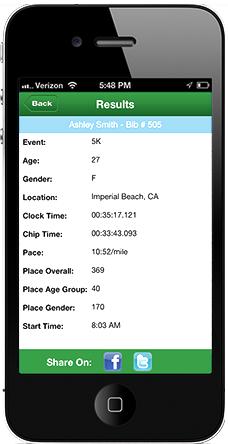 Teams must have 3 people and will run portions of the course, not the entire course. Each member of a relay team will receive a race shirt and goodie bag. Relay runners must provide own transportation to and from relay transfer stations. Parking will be available. The first relay transfer station is located in front of the Averitt Express Call Center on Neal Street with parking available at the Averitt Call Center. The second transfer station is located at the intersection of Shag Rag Road and Chocolate Drive, with parking available in the parking lot next to the intersection. Packet pick up will be held Friday evening, October 18th at Express Footwear, 1430 Interstate Drive in Cookeville from 4:30 - 7:30. Race day registration and packet pick up on October 19th is open from 5:30 - 6:30 AM at the Roaden University Center, main lobby, on North Dixie, right beside the start line. There are restrooms available in the RUC. Parking is available behind Memorial Gym, accessed from 7th Street, and near Stadium. Click here to view a TTU campus map. Volunteer check-in will be on the front porch of Roaden University Center beginning at 5:30 am. There will be food and drinks for volunteers. Packet and T-Shirt must be picked up during scheduled pickup days and times. Unclaimed packets or shirts will not be mailed. Upper Cumberland Haunted Half runners can purchase a discounted ticket to the Blues & Brews Craft Beer Festival in Dogwood Park hosted by WCTE and sponsored by the City of Cookeville. We welcome your participation as a volunteer! The event will need hundreds of volunteers to staff the aid stations and offer support to the runners at the start and finish. To volunteer, email runhauntedhalf@gmail.com. WHAT IF I REGISTER AND THEN BECOME INJURED OR AM UNABLE TO ATTEND THE RACE? Your race entry is non-refundable. Your registration may be transferred to another runner before October 1st. Your registration may be transferred to another runner before October 1st. After October 1st your registration is non-transferrable. CAN SOMEONE ELSE PICK UP MY RACE PACKET ON MY BEHALF? Yes, you can have someone pickup your packet. The race course is not a closed course, strollers are NOT allowed on the course. The race course is not a closed course, pets are NOT allowed on the course. After the race, results will be posted at runhauntedhalf.com within a few days. The Upper Cumberland Haunted Half Marathon is USTAF certified - certification TN15076MS. All participants on the course during the race must be registered and wearing a bib. Participants must complete the Half Marathon within 3½ hours (by 10:30am). This requires an 16 minute-per-mile pace or faster. For your safety, be aware that roads on the course will not be fully closed. In addition, pets and strollers are not permitted on the course.